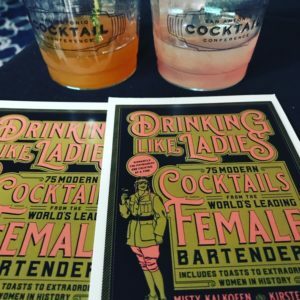 Just back from the San Antonio Cocktail Conferences (my recap is here) where I was able to attend some terrific seminars helmed by a few leaders in the industry, who happen to be women. I say it like that because I am becoming increasingly uncomfortable with how marginalizing it feels to use the phrasing female bartenders, female distillers, female brand ambassadors, etc when really, we have been here all along. The rest of the world is just waking up to that. By putting female, or woman before laymen’s terms, it continues to make us more of a novelty or side bar, rather than the truth of the matter – we are fully integrated in this business, as marketers, as writers, as owners and as consumers. 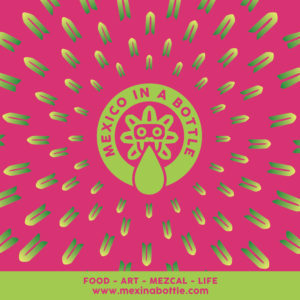 But of course, we have a lot of work to do which is why there were two seminars specific to the experience of women in the industry – Women in Mezcal and We’ve Always Been Here. Several other seminars on topics specific to a particular spirit (Sugar Cane Distillates) or more general (Mixing with Sparkling Wine) were helmed by women, others had women on the panel discussions. There was even an opening party – Women Shaking It Up, that featured women chefs, vintners, bartenders, and more. The industry knows it needs to be more inclusive and I laud the SACC for the steps it has taken to do just that. The two women focused seminars were great, and really drove home that point that we have always been in the industry, in one form or another. 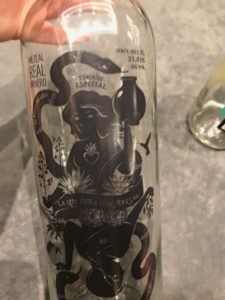 In her talk with Emma Janzen about women in mezcal, Graciela Angeles, head of her family’s Real Minero mezcal brand, continually highlighted that as she talked of the economic realities in her home state of Oaxaca and the need to just put food on the table. Women had to be part of the production of mezcal because the family needed to survive. So they worked in the fields, they transported the product when it was illegal in order to get it to markets (they were less likely to be stopped and checked by authorities), they made sure men had food when they were working long hours, and when men left their villages in order to find work in cities or in the United States, women kept the business going. 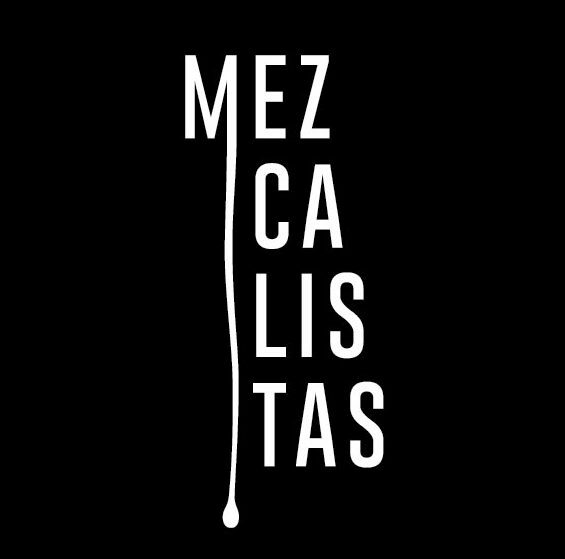 As Graciela so eloquently put it, “This was not a statement of feminism or equality, just the reality of necessity.” That Graciela happens to be one of the most innovative leaders in the mezcal category should not be lost. She has catapulted her family’s mezcal operation onto the world stage, while also being one of the strongest voices when it comes to sustainability, from the green house program they have developed at Real Minero to grow from seed, to her work in encouraging bat pollination, to supporting community projects by building a library, to employing more women – she is a force to be reckoned with. In the second female centric topic panel, “We’ve Always Been Here: The Untold Stories of Women Behind the Bar,” Misty Kalkofen, Lynette Marrero, Kirsten Amann, and Meaghan Dorman led the audience through the history of women in alcohol, from Ninkasi, the goddess of beer, and likely first brewer from Mesopotamia, to the medieval tavern, to the evolution of public houses, to colonial taverns, to saloons and the early days of cocktails in the Victorian era, to prohibition and finally to today – it was an hour-and-a-half long talk that could easily be a semester’s worth of course study at any university. It was fascinating, and of course at the heart of it all was economics, the realities of surviving and the social aspects of it all. Women were there at every step, as owners, distillers, bar maids, and bartenders with the common thread of constantly being regulated, either through property and employment laws, or through morality standards. The presence of women constantly vacillated based on whether they were seen as necessary contributors to economic survival or threats. We do not hear much of these stories because as Howard Zinn described history, it is written by the winners, which in this particular case meant men. I cannot wait for this talk to become a book. In the meantime, everyone should buy Drinking Like Ladies, Misty and Kirsten’s terrific book on cocktails and recipes by women. The seminar on Sugar Cane Spirits was not a woman specific talk, but it just happened to be led by two women in the industry – Miriam Pacheco, head of of Uruapan Charanda and Kiowa Bryan of House of Agricole. With the emergence of Mexican craft cane spirits in the market, I have been doing a crash course to get up to speed to understand more about run agricole. Miriam is head of her family’s operation which has been producing cane spirits in Michoacan since the 1800’s. Sugar cane is not indigenous to Mexico and was brought there by the Spanish in the 1500s. It just so happens that Michoacan, and particularly the central swath of the state, has perfect growing conditions for cane – weather, altitude and the rich volcanic soil. Charanda has its own DO, and of the 113 municipalities in Michoacan, 16 can claim it. But it is an industry in flux, due primarily to the increased demand for avocados, which also love the growing conditions in Michoacan; so much so that almost nine out of ten avocados come from the state. 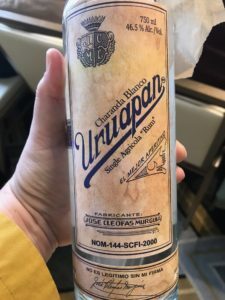 Under Miriam’s leadership, Uruapan is undertaking some interesting projects, including a focus on single varietal cane spirits in the hopes of rescuing the lesser grown Morada. Additionally, Uruapan is looking at sustainability issues when it comes to the bagasso, which is easily composted, and the viñasa which needs to be treated before it can be released back into the system. 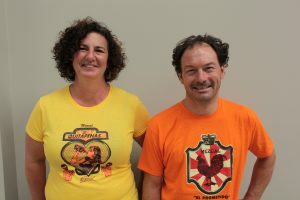 Kiowa focused on the history of rhum production in Martinique, and the specifics of rhum agricole, or rum that is made from 100% sugar cane juice – as opposed to most other rum that is made from molasses. Again, economics is at the heart of how rhum agricole came to be – war in Europe in the 1800s, and the resulting shipping blockades, meant that France grew sugar beets to make up for the loss of its sugar pipeline from Martinique and Guadalupe. The industry on the islands languished, and the laborious and expensive process of separating the sugar from molasses came to a virtual halt as the demand for refined sugar died. Necessity, always the mother invention, meant that distillation switched to a 100% cane juice production, and that coupled with the introduction of the column still, led to the growth of rhum agricole. What I loved about this third seminar was that the talk about these spirits just happened to be led by women, who happened to be leaders in their fields. I can’t wait for this to become the norm at all conferences, rather than the exception. This is something that the industry is going to have to figure out when putting together conferences – how not to sideline the involvement of women, but to truly integrate these conversations into the larger framework. There are important conversations to be had, and our voices and experiences are invaluable, but not just because we are women.